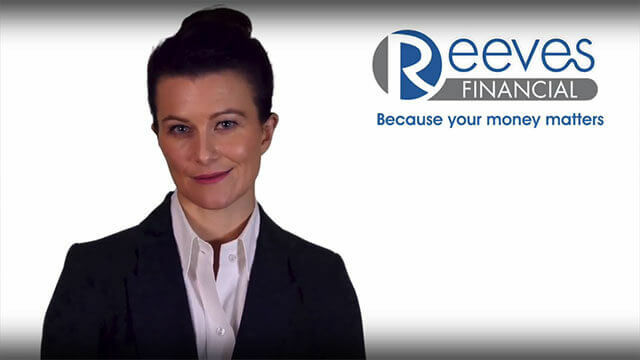 At Reeves Financial we appreciate that most business people are heavily involved in the day to day running of their businesses. This sometimes means that peripheral issues such as Company Pensions and Group Benefit schemes sometimes don’t get given the attention they require. For the business to spend time on these areas can be time-consuming, and is generally non-productive to the business. If such activity is delegated to specialists it releases energy which can be used far more effectively elsewhere. There is, too, an additional benefit – if employees are made aware of and recognise the value of their benefit packages, their confidence in their future and, therefore, the future of the company is raised. Reeves Financial can provide many services, including pension schemes, medical and income protection schemes, life assurance and family protection, indeed employee benefit packages which, effectively managed, can offer additional security for both employer and employee. We can also arrange Keyperson cover to insure that the Company’s Key Personnel are covered in the event of their deaths or on diagnosis of a critical illness. It is essential that the Company takes expert advice to insure that the correct insurance policy is arranged for the company and that it has the desired effect. Reeves Financial has a history of working closely with the High Street and Commercial Banks. With our banking connections we are in an excellent position to broker Commercial Loans for a Company. We can research the market and help negotiate on behalf of the company to arrange suitable finance. Whatever your corporate requirements are please speak to Reeves Financial’s Advisers and they will be happy to assist you to achieve your Corporate Financial Planning requirements. Business owners that run successful operations have taken stock of the risks to their profitability and have been able to weather the tough times. Good financial planning means creating plans to offset these risks and using all the tax-breaks available. Protecting a business could prevent severe losses. Too often, due to day-to-day pressures, the potential effects on a business of diagnosis of a critical illness or incapacity – or even premature death – don’t get given the attention they require. Without effective retirement planning when the time comes to retire an owner-manager has the problem of selling the business for what they think it is worth and then being able to sustain a lifestyle that their hard work has brought them. Senior executives will often have complex requirements that require individual attention. High level financial planning may need to include areas such as inheritance tax planning and the use of trusts. With the increasing complexity of the pension rules bespoke retirement planning is needed. We are experienced and well-qualified and will work specifically with senior employees. An employer’s risks to the public and employees are covered by compulsory insurance; however, key personnel are a valuable asset. In the unfortunate event of illness, incapacity or death of these individuals, what might happen to your business? These personnel can be covered and tax-relief is available for special circumstances. Insurance will give your organisation vital breathing space whilst you get your business back on an even keel. With an ever changing taxation system and underlying investment conditions it is essential that business owners take expert advice to ensure that correctly focussed plans are put in place. THE VALUE OF YOUR INVESTMENTS CAN GO DOWN AS WELL AS UP. PAST PERFORMANCE IS NOT A GUIDE TO THE FUTURE. To find out more about our corporate services please fill in the simple contact form below and we will get back to you as soon as possible.